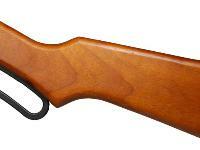 The legendary Red Ryder! Who hasn't wanted one of these? 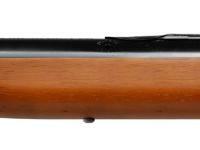 Daisy's 1938 Red Ryder model is still a favorite of boys and girls (and men and women). 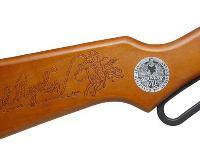 This special 70th Anniversary Edition of America's favorite airgun has a special commemorative medallion in the stock. It's bound to be a collectible. A great gift for kids and adults! 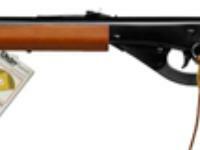 Includes the gun, adjustable safety glasses, ammo & paper targets. You'll be shooting so much that you better load up on BBs. 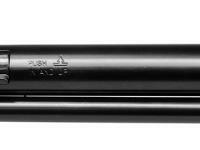 Click the AMMO link to stock up. Click the ACCESSORIES link to find more fun targets and other gear. Things I would have changed: I know the price is quite low but more targets would be nice. Once my daughter learned how to shoot accurately (about 8 shots) she did not want to stop challenging herself by trying to get better groups with each set of six shots. 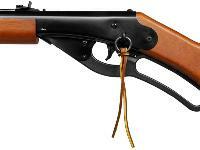 What others should know: The nostalgia factor may make forget it is 'just' a BB gun. Things I liked: got one for each of my grandsons. 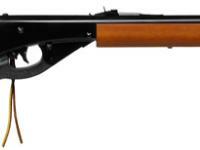 They are very excited and are eager to learn proper gun safety with these find kits. Incl. gun, adjustable safety glasses, ammo & paper targets.